Netbook pioneer Asustek Computer will debut its first tablet computing device at Computex Taipei this June, making it one of several Taiwanese companies planning to reveal their would-be iPad-killers at the trade show. Asustek is working on at least two tablet devices, a company representative said Thursday. 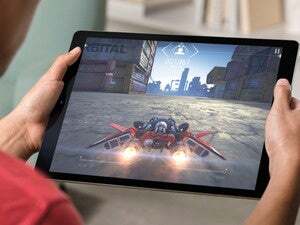 A prototype of its first Eee Pad tablet device was displayed at the International Consumer Electronics Show in Las Vegas earlier this year. The final product it plans to launch at Computex will boast a 10-inch touchscreen, have Nvidia Tegra 2 chips inside and carry Google software—possibly the new Chrome OS. The company is also working on other versions of the Eee Pad that have Microsoft Windows on board and use Intel Atom microprocessors. It’s likely that only one version of the device, with Google software, will be ready for an official launch at Computex, he said. The coming launch of Apple’s iPad has raised interest in such devices around the world. The idea for tablet devices has been around for a decade and Microsoft included software support for them in Windows Vista, but they’ve never caught on. Apple hopes the iPad will change things. The company is touting the device as good for surfing the Web, watching movies, reading books, gaming and using a range of software applications.